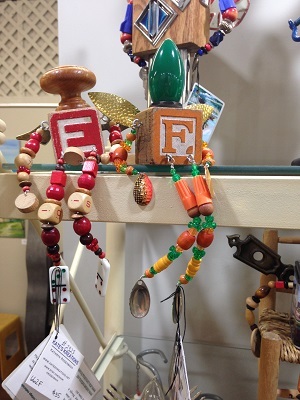 After finding gifts for kids, teens, moms and dads, the staff at Visit Hendricks County determined we needed a catch-all spot for those One-of-a-Kind Finds that could frankly be given to anyone including the family pet. Even if these specific items aren&apos;t what you&apos;re looking for, we still would encourage you to shop local this holiday season as many of these stores have many more unique items that we simply didn&apos;t have enough spots to promote. One of my favorite finds of this holiday season because of its uniqueness, variety and when you see one you immediately think of someone you can give it to came at Gallery on the Square, 51 S. Washington St. in Danville in the form of junk fairies. Multi-media artist Kathryn Rodenbach came up with these wonderful creations. Using recycled materials that strike a chord with each of us in some way, she can create a work of art for any member of the family. She had fun, smaller ones for the kids made out of vintage alphabet blocks, beads, dominoes and other "junk" you might have laying around your home. She had sports-themed and car or garage themed ones with some beer advertising for the guys and of course some beautiful ones for the ladies. The vast array of options also requires a wide range of pricing. The cheapest one we found was $25, and she had various price points that spanned all the way up to $315. We found some amazing glass ornaments at Artistic Designs Gallery, 124 E. Northfield Drive, Suite K, Brownsburg. The ornaments made by local artist Lisa Pelo are just one of a number of amazing glass pieces she makes at her shop, Hot Blown Glass, in Clayton. These ornaments, which come in various colors, shapes and sizes, and all of Lisa&apos;s glass creations are truly something to behold and are definitely one-of-a-kind finds. The ornaments range in price from $15-$22. In addition to Artistic Designs Gallery, Lisa&apos;s work can be found at several retail locations within the county including Bread Basket Cafe & Bakery in Danville and Finer Things and Frazee Gardens in Brownsburg. Gourds are probably one of the last items you expected to see on our holiday wish list, but these hand-painted gourds by Indiana artisan Ann Lankford aren&apos;t your ordinary gourds. What can only be described as true works of art, Ann can turn a gourd into just about anything. She has made them into penguins, santa and many other creations. The gourds come in various sizes and shapes and range in price from $10-$60 and can be found on our Rural Routes to Main Street Cultural Trail at Berries & Ivy Country Store on the Morgan County Courthouse Square, 28 N. Main St., Martinsville. We realize for many of you out there your family can extend well beyond people and could include some four-legged friends. If that is the case, you definitely will want to visit Bone Appetit, 1014 E. Main St. in Brownsburg. We found some amazing holiday-decorated dog treats that look and smell so good, you will swear they came out of your grandma&apos;s oven. They all are healthy and natural with no added sugar. You can buy these dog treats individually or you can decide to have the store put together a gift basket for you. 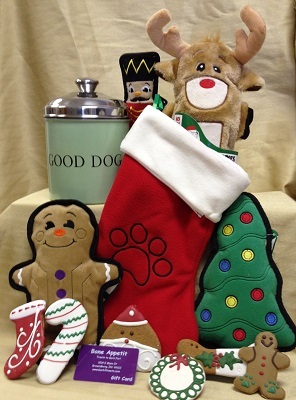 Either way, if you have a dog on your holiday shopping list, this is the place you will want to visit as they feature many other gift ideas and stocking stuffers. A last-minute addition to our Holiday Gift Guide, this One-of-a-Kind Find showed up at Finer Things, 1032 E. Main St., Brownsburg. We just loved these handmade, leather guitar pick holders. They come in different colors. Some are plain. Others are embossed, and they fit perfectly in your pocket with a number of slots for various guitar picks. They range in price from $9 to $17. They local artist even takes custom orders. In Hendricks and Morgan counties, this must be the year of the Indiana shirt as we found a number of different options at various locations to show off your Hoosier pride. Three stores in particular: Younique Culture, 2481 E. Main St., Plainfield, Finer Things, 1032 E. Main St., Brownsburg; and The Sterling Butterfly, 190 E. Morgan St., Martinsville were all featuring Indiana Shirts with some creative designs. We found shirts for men, women, kids and even babies at various prices. 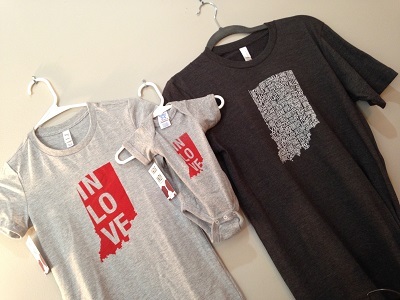 So, you may just one to visit each store to determine the best option for that Hoosier in your life. OK, so you have that person in your life that just has everything or is just simply hard to please when it comes to gifts. I have found that you can never go wrong by targeting someone&apos;s stomach. I mean we all love food, right? We obviously have a number of fantastic restaurants in Hendricks County that offer gift cards, but the most versatility for your buck would definitely have to go to the Cunningham Restaurant Group, a local chain that began in 1997 with its signature location Boulder Creek Dining Company, 1551 N. Green St., Brownsburg. Since then, they have opened to other locations in Hendricks County -- Charbonos, 128 N. Ind. 267, Avon and Stone Creek Dining Company, 2498 Futura Parkway, Plainfield. So, a gift card from the Cunningham Restaurants can go a long way. You may never buy honey from a grocery store again after purchasing honey from this one-of-a-kind find in Morgan County. Hunter&apos;s Honey Farm, 6501 W. Honey Lane, Martinsville, is a family-owned and operated honey farm that has been in existence for more than 100 years and is offering a Honey of the Month option as a gift. They can either ship an 8 ounce or 12 ounce bottle once a month or you can choose to have 12 bottles all at one time. Prices include shipping to anywhere in the continental U.S. and range from $62.50 to $179.25 depending on your preference. This is the type of place you may just want to visit though as they also have honey snacks, five sauces, two relishes and skin-care products.